GOLD! SILVER! ...and those seeking their fortunes against the backdrop of the American Civil War, relations among the European-American newcomers, Hispanics, and Native Americans, military exploits, salacious news accounts, greed—and one naturalized German with a camera. Rudolph d’Heureuse—surveyor, cartographer, civil engineer, mining engineer, oenologist, inventor—who on one momentous journey photographed the Mojave Road in the Desert West from the shores of the Pacific Ocean to the banks of the Colorado River and the mines of Eldorado Canyon in today’s Nevada. His subjects included San Bernardino, Cajon Pass, and Los Angeles’s seaport, New San Pedro (Wilmington). He did it in 1863, many years before anyone else took the next photo of this desert and its inhabitants, travelers, crossroads, forts, soldiers, and watering holes. 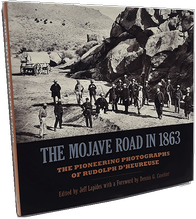 As the very first photographic record of the Mojave Road and its destinations, it calls for a reappraisal of its importance as a convergence of mid-nineteenth century technology, art and commerce. Ansel Adams thought highly enough of Rudolph d’Heureuse’s work to include five prints of these images in a 1942 show he curated at the Museum of Modern Art in New York—an exhibit that included the pictures of Brady, O’Sullivan, Curtis, Jackson, Watkins, and other luminaries of photography of the Civil War and the American West. Jeff Lapides, a citizen of our foothill village, was the designer of Southern California Story: Seeking the Better Life in Sierra Madre. 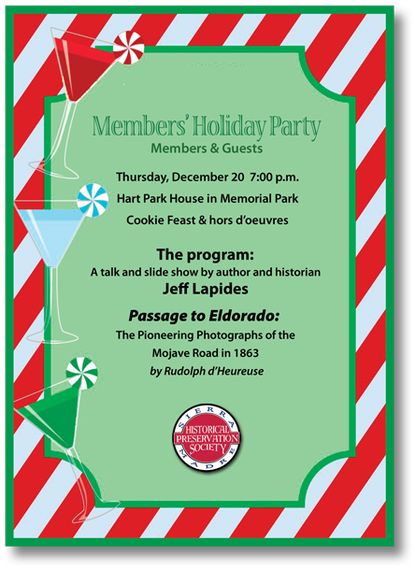 His new book is a companion to his presentation, The Mojave Road in 1863.
to donate to the museums or our archives? 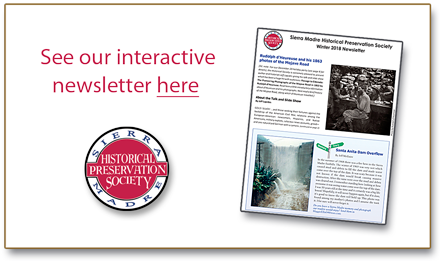 for the Museums and Archives chairs. 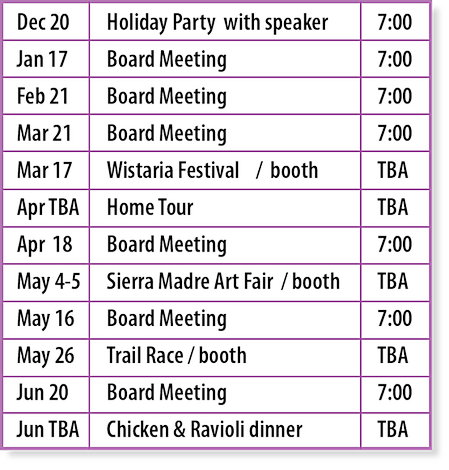 Copyright © 2018 Sierra Madre Historical Preservation Society. All Rights Reserved.